We answer them all here if you keep reading. If you’re someone who’s spent your entire post-pubescent life perfecting your eyebrows, and perhaps has even sought the most excellent brow aesthetician in the metro, you can now end your quest for Cara Delevingne or Lily Collins (whoever your prefer) arches with microblading—or not. Are you ready? Keep reading! Yes, It does hurt. But it’s tolerable. 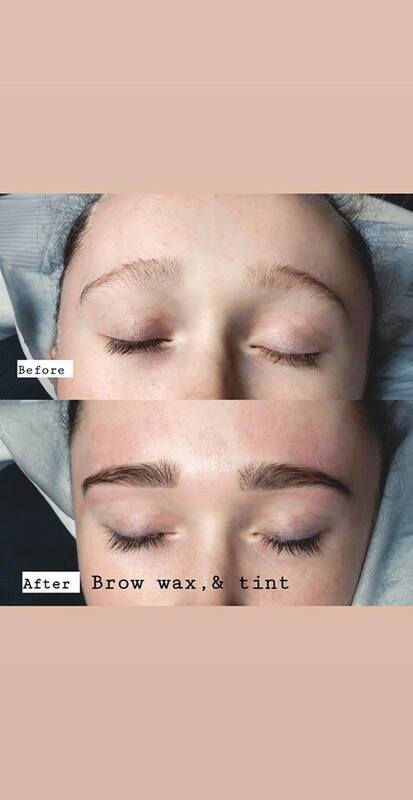 It’s like threading [your brows]—something like that. If you’ve done Facials, Brazilian wax, this would be an easy, breezy treatment. Of course, we also consider the pain tolerance of each client because that’s relative. We ask them what their freak zone would be and then we adjust the treatment a little bit for them. There are also other conditions like if you’re nearing your menstruation; the level of pain tolerance is affected. Generally, it lasts for 2 years. But then, of course, it’s all dependent on the lifestyle of the person. The sun will always be a culprit to any type of fading. The lifestyle, body regeneration, your age, the skin regimen, what you take, the vitamins you take, the supplements you take, the products that you put on the skin can all affect how long before the treatment fades. Around one week. Post-treatment care is given and should be strictly followed for best results. We also make sure to tell our clients that the actual, final result of the procedure is visible only after four weeks. There’s scabbing, retouch, etc. in between. What do the eyebrows look like immediately after the procedure? Is there a downtime? 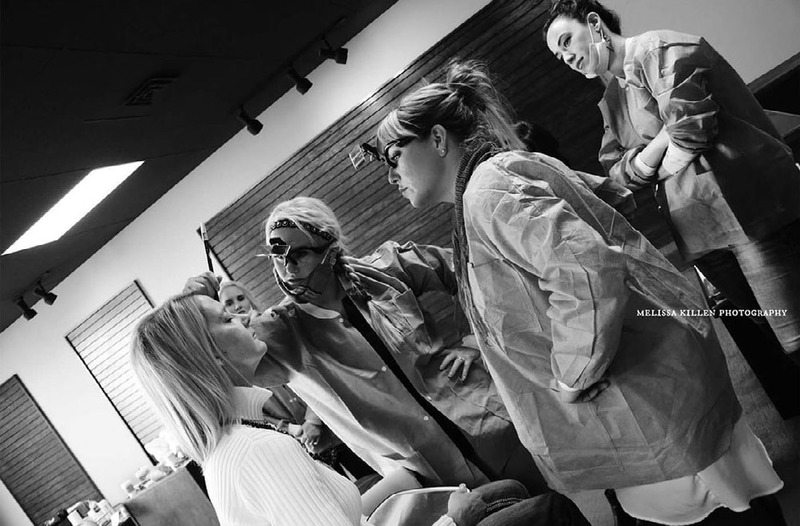 No downtime because we just mimic the natural growth and color of the hair. It’s not a huge change but it’s more like a transformation. People would not look at you and say in shock, “What happened to you?” You will just look polished. Touch-up is usually necessary and for us, it’s important because, during the cycle, there’s a lot of circumstances that the artist cannot control. One will be the client’s after-care follow up. We prescribe an after-care that the client should strictly follow to avoid infections and achieve the best results. So in essence, the result is 50 percent the actual microblading procedure done by the artist and 50 percent after-care done by the client. A shape is determined by the facial landscape of the person. So there are points like the ocular bone. We utilize the T-compass, which is the tool for getting the golden ratio of your brows. For the golden ratio, we measure the sclera of the eye, which determines how far the brows are apart. Each face is determined by your own set of bone structure. So we recommend the ideal shape or the classic shape based on these. We want your eyebrows to be timeless. So, it’s very important to discuss with our clients how their brows should look like based on what would complement their other facial features like eyes, nose, and lips best. How do you choose the color of the pigment? The color of the pigment is determined by your skin color, natural color of your hair, and also the color of your eyes. There are people who are very, very fair but their eyes are dark so they have a certain color that fits them. And there are also people who are very fair with light eyes. There are certain colors for them, as well. It’s really what suits your face and the colors that naturally occur in your body that would determine the color of your brows. How should one prepare for the treatment? To help the skin prepare for the treatment, I usually ask my clients to refrain from using toners two months before the procedure. No Botox at least two weeks before and two weeks after. All types of facial procedures like facials, peeling, etc. should also be avoided within two weeks leading to the procedure and should be safe to do two weeks after the procedure. People who have diabetes because the healing time might not be determined. For pregnant women and for nursing women, it’s not about safety. It’s more about guaranteeing how the results will be and how happy they will be with the brows after. Because of the erratic hormonal changes that occur in the body, the pigments might not stick to the skin. As long as you follow all the post-treatment care, there shouldn’t be a problem. Of course, the reason why we also have the consultation is to screen and determine and get a feel of what the client’s lifestyle is—if the treatment is suited for her. There’s not a lot of risks really, not even allergies. This is actually a very superficial treatment.